Teapots in shades of blues and purples. 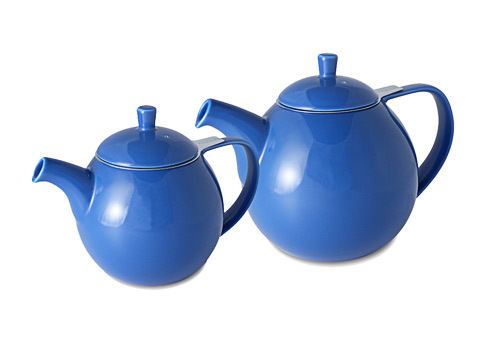 A collection of teapots in shades of blues and purples from many manufacturers. Sizes range from 16 to 70 ounces. Choose the style that suits your taste. 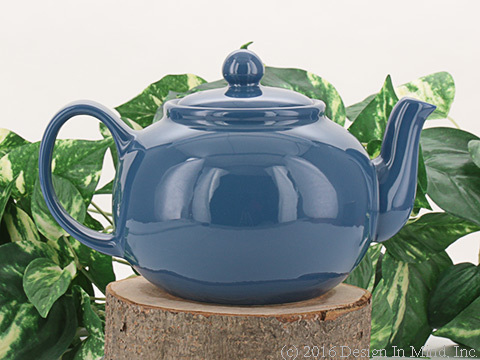 The blueberry 22 oz Beehouse teapot holds enough for 3 servings of hot tea. Check out our blueberry gold Tea Quilt cozy in a personal size to keep it warm. 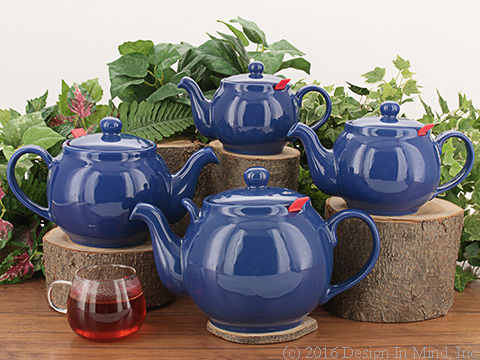 This new Cherry Red BeeHouse teapot has a flip lid with a stainless steel infuser and will hold about 3 teacup size servings. A personal size tea quilt tea cozy from our Oriental group with a great selection of reds would be a perfect fit. 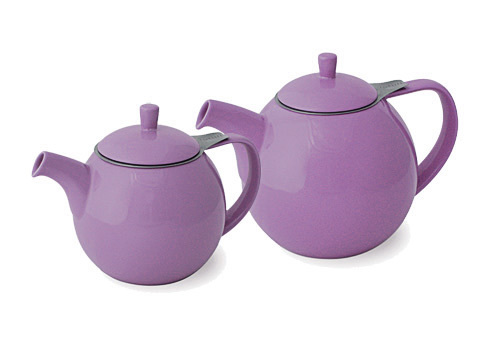 This new Eggplant BeeHouse teapot has a flip lid with a stainless steel infuser and will hold about 3 teacup size servings. 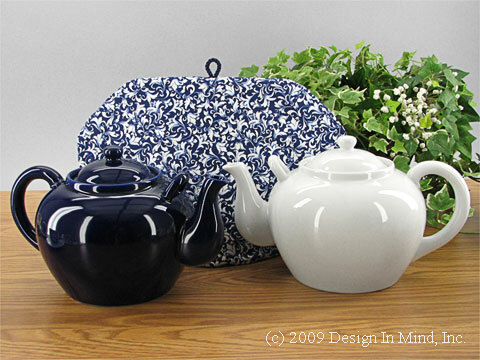 This pot is shown with with our new Risa's Cupcakery Tea Quilt tea cozy. 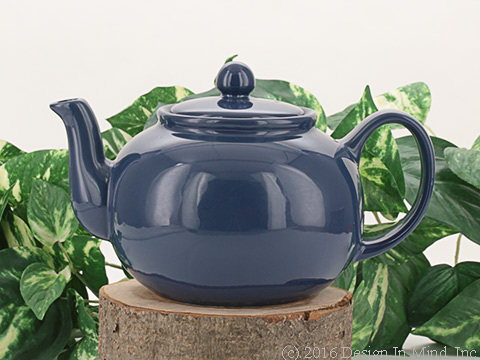 Marine Blue is a deep cobalt blue used in the glaze of this BeeHouse 22 oz teapot. 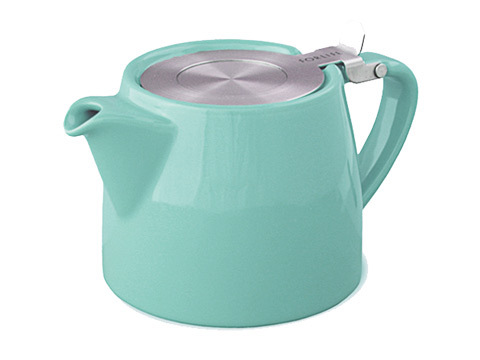 It is lighter in color around the spout, rim and handle giving it a beautiful variegated hue. 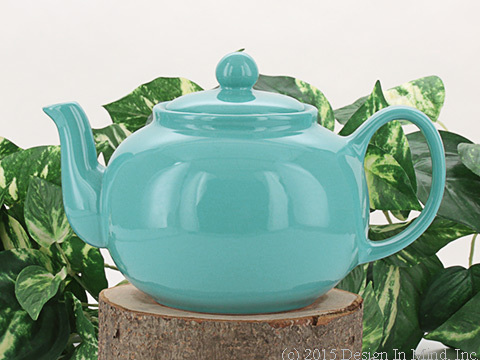 One of our NEW BeeHouse teapot colors. The Royal Blue is a beautiful pure blue color. 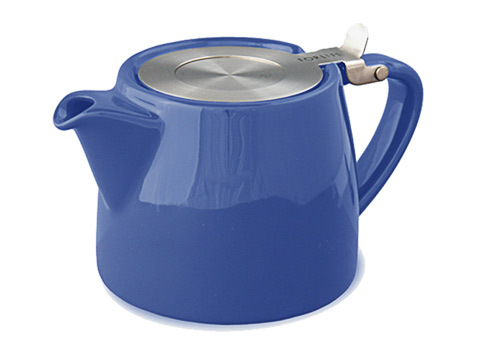 This holds 22 0z and serves about 3 teacup size servings.